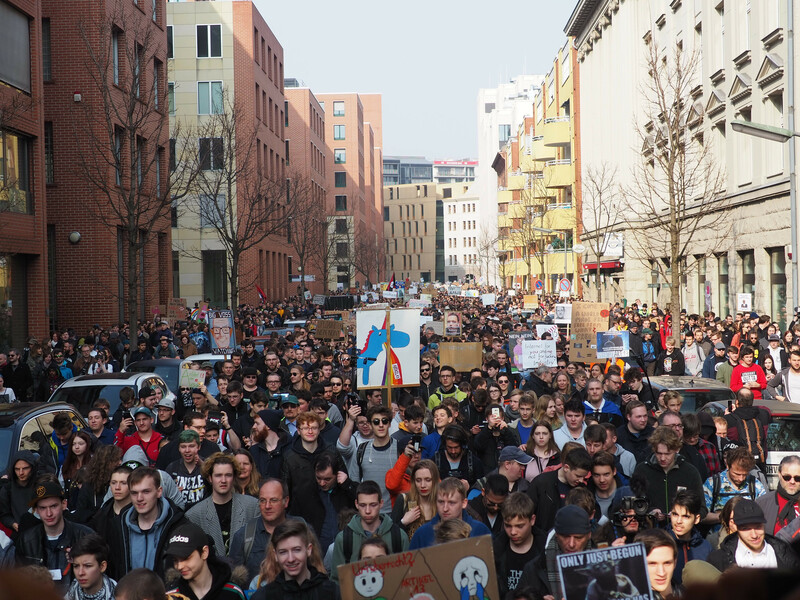 As expected, people took to the streets in the EU this week to protest the EU Copyright Directive and the censorship filters of Article 13 and the snippet tax in Article 11. Most of the protests took place in Germany, where reports are that over 150,000 protesters showed up to let their elected officials know that this law is a disaster (other reports put the number closer to 200,000 protesters). Many of the signs included memes, or the statement “we are not bots,” which appears to have confused some in the media, such as DW.com, which claimed people said: “banners included the phrase “We are not bots,” a reference to robotic-like social media posts.” Uh, no. The reference to “we are not bots” is in direct response to supporters of Article 13 lying and claiming that all of the arguments against Article 13 were simply coming from internet bots as a way to discount the concerns of millions of EU residents as well as those of use around the world. Think about that for a second. A major political leader is so infatuated with his false belief that real people couldn’t possibly be upset about the plan to fundamentally move away from an open internet, that he insists Google must have paid the protesters €450 each to show up. That’s insane, and nothing that any elected official should be saying. Journalist Emanuel Karlsten looked into the details of this and found that Caspary had taken a completely different bit of information and used it to attack the integrity of all the protesters. What had really happened was a few weeks earlier, the digital rights organization EDRi had offered to cover travel costs for a small number of activists to come talk to MEPs. It was not for the demonstrations, but for a small group of activists, who otherwise could not afford to meet the MEPs in person, to travel. Somewhere around a dozen such grants were made and it allowed this small group of folks to meet with MEPs last week, totally unrelated to the protests. As more and more people started calling out Caspary, he refused to correct his misleading statement for an entire day, before insisting that everyone misunderstood him and he never really mean that all demonstrators got paid. However, the “statement” he links to is simply more pro-Article 13 propaganda, insisting that the protesters cannot be taken seriously because some idiot sent Axel Voss a death threat. Meanwhile, Caspary’s own thread that he insists is clarifying his position then immediately says we should still criticize financial support for those seeking to lobby politicians. He says that as if the lobbyists in favor of Article 13 didn’t also provide “financial support” for some musicians and creators to go lobby them as well. It is standard practice for NGOs to pay travel costs for activists to present their position before elected officials, because otherwise politicians would only hear from lobbyists, and not from the actual people. This happens on all sides of every issue — and it’s not paying them for their testimony, but for their travel expenses to get somewhere they couldn’t otherwise go. So I’m curious if Caspary will now agree to discount any lobbying he heard in favor of Article 13 from artists who received travel support to go see him too? Or does his position only cover the other side? All images in this post come from Netzpolitik, which says they are free for anyone to use — which may only be true until Article 13 is enacted into law, at which point, it would be an impossible liability risk to continue posting them on most sites.